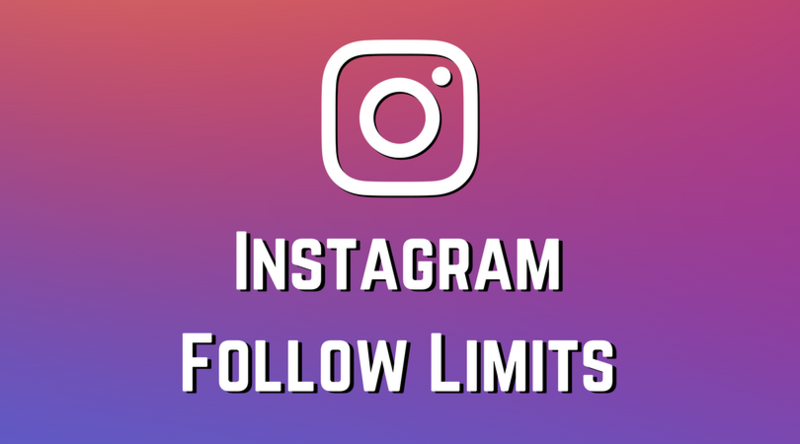 Instagram introduced new following limits in 2017. The platform brought in a new feature where you can only follow around 15-50 people before having to wait a period of time to be able to follow again. This is what Instagram refers to as a way to reduce spam accounts (which have become an increasing issue with the platform). You can get around the limit by following users slowly, and skipping a few profiles every now and then. Additionally, Instagram now doesn’t let people follow more than 7,500 people (unless you were following more than that amount when the limit was introduced). These changes have made it a very difficult and tedious process for many Instagram accounts to grow their organic fan base through the following and unfollowing technique – which was a very simple and unregulated process up until around midway through 2016. Before this time, many businesses popped up, and were able to build huge followings through using this technique. While the technique is still viable, it is less effective in today’s world. With this change, we have compiled a list of other ways to increase your audience on Instagram. Start a Competition: Capitalise on the use of competitions, from a simple giveaway where users tag a friend in the comments to be in the draw, or something more elaborate like a share/follow train with other brands. Make Use of Paid Promotions: Paid promotions can increase your brand awareness drastically. However ensure you have engaging content that is sure to drive people to your page! Utilise Hashtags: Don’t go overboard. A huge no-no here at Bottrell Media is using unrelated hashtags in excess to gain more likes (such as #likeforlike, #instagood, etc). These draw generally nothing but fake, robotic accounts, bringing no added value to your business. Use quality hashtags, that have relevance to your business, for example, if you are an Italian restaurant, use the likes of #pasta, #italy, #pizza, #chef, #dinein. Like Users Comments on Popular Pages: Find a popular account within your industry or location, and begin to like the comments on the posts. There is a limit of about 50 per about every 10 minutes, however this is an easy way to attract attention to your brand. An example of this is, if you are a surf brand, head to @wsl (World Surf League) and like away! Push Followers to Instagram from your other Sales Channels: If you have a large following on any other channel, get them to head to Instagram! An incentive works best, such as a competition. Bottrell Media grouped together midway through 2016, and since that time, have stamped ourselves as one of the go-to media firms! Located in 6 cities around Australia, we are ready to hang out and kick some goals.